Great planes Rapture 40 completed. Sport Flying This forum is for those that like to fly just for the enjoyment of flying, and all the airplanes that help them. Discuss here the joys of flying and the airplanes that help you enjoy it. I bought this Discontinued G.P. Rapture 40 kit for $25 because it was missing the plans and the plan is no longer available. 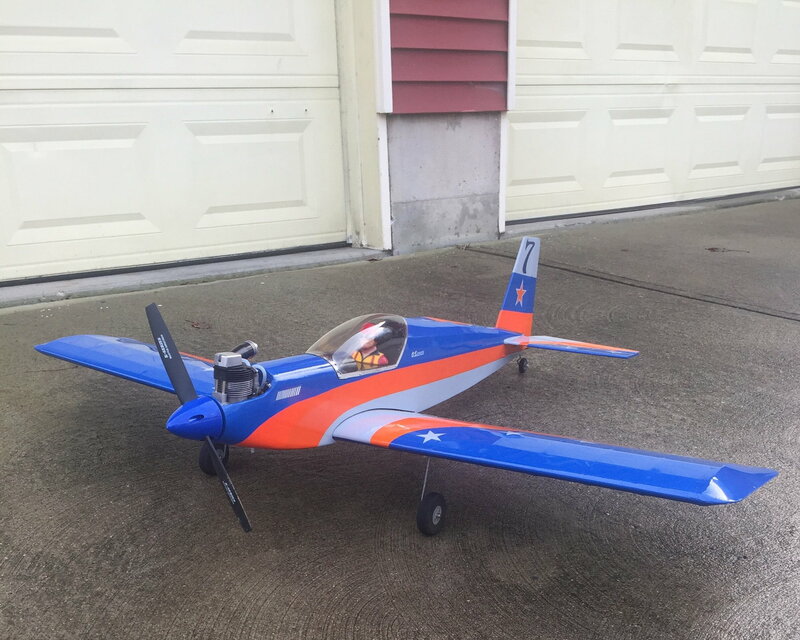 I have a lot of building experience so I was able to build the kit without plans. This is an intermediate level kit so it wasn’t hard to build. I did some mods to the plane. The fuselage was an open-bay type all the way up to the nose. I filled in the bays over the wing and nose area as these seemed like weak areas. The nose had the two “cheeks” on both sides of the motor. 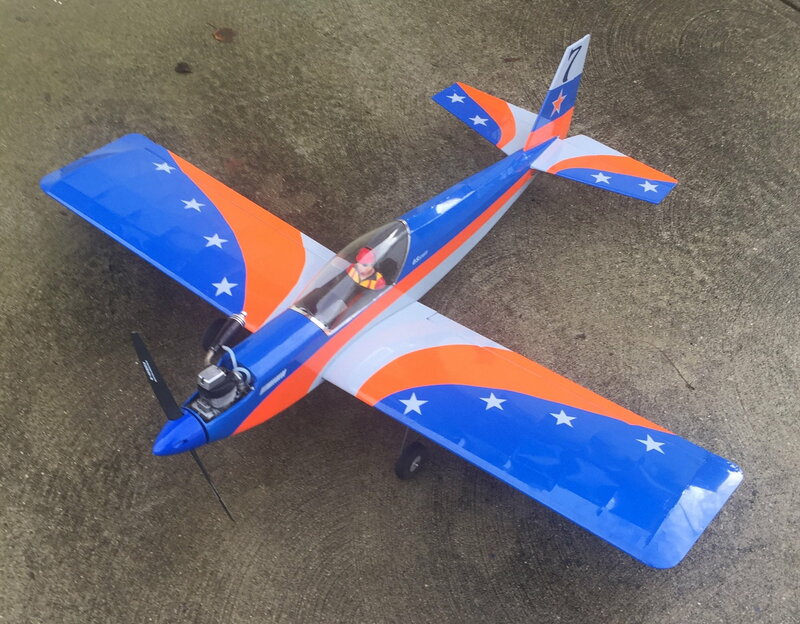 For a plane that resembles a Super Sportster and an Ultra Sport it just didn’t look so good like that so I cut off the cheeks and glued on Balsa blocks, I then rounded off the blocks around the engine which greatly improved the looks of this plane. The wing was 60 inches long so I removed one rib bay from both ends of it. I installed a Thunder Tigre .75 four stroke engine. I wanted do do something different with the covering colors. My suggested Blue, Orange and Light Gray So that’s what I went with. The result looks fantastic! 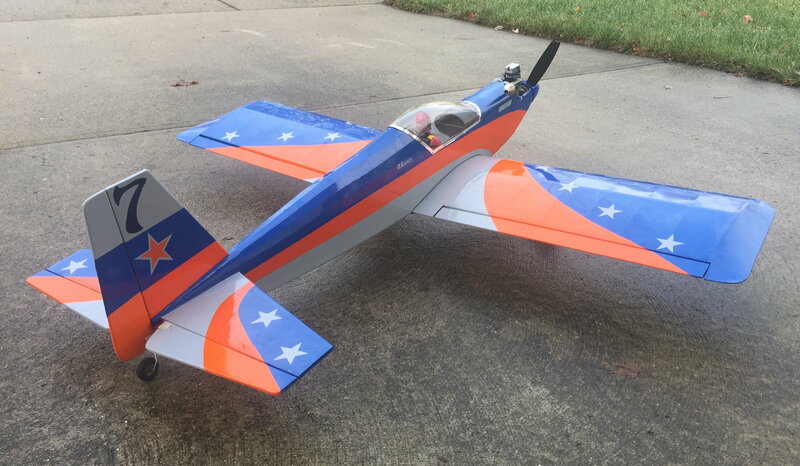 This originally was just going to be a cheap quick build plane to throw around and not worry too much about crashing but it turned out to be a super nice plane with clean lines and cool graphics- also very sturdy! I really like this plane! Cool! Design scheme reminiscent of 'Miss America' Unlimited racer with a neat color combination. Going the extra length to fair the nose to the spinner makes a huge difference in the appearance of these more recent Great Planes and others' sport airplane designs with the open engine bays (Old Timer, Escapade, Sig Somethin' Extra). Please continue showing more airplanes you've built.